442manager has officially launched and is now offering a platform that offers Fantasy Football with a twist. Many fantasy football platforms let players build teams that they use for the entire playing season. With 442manager, players get the chance to build new teams on a daily or weekly basis. 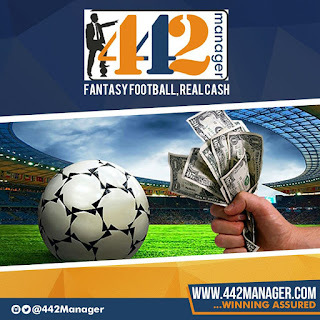 Instead of being stuck with a team, 442manager players get to play in real time every day and settle out winnings every night a winner is announced. 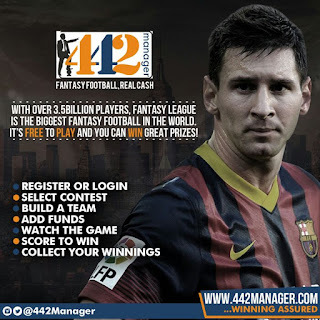 Playing at 442manager starts when users register for free at the website. Once they’ve registered, players choose the match they’d like to play in before building a team. Each team consists of 11 hand-picked players from 3+ teams. High value players have higher price tags, and players have to be careful to stay within their salary cap. If players choose to participate in a cash contest, they add funds to their account. Then, players watch the game to monitor their team’s progress. Teams earn points depending upon the performance of the players; fouls and other technicalities can count against a player. At the end, winners appear at podium for all to see. Prizes are paid depending on the size of theroom and the amount you staked. Go to the website [http://www.442manager.com] to study the full rules of the game and how prizes are disbursed. The Winners cash prize is immediately transferred into thiery local bank account – First Bank, GTBank, Zenith Bank, UBA etc. So then, at anytime you like you can smile to your bank to withdraw the Cash. Currently, there are thousands of registered players at 442manager. Players enjoy the competition and winnings, as well as the site’s streamlined access. 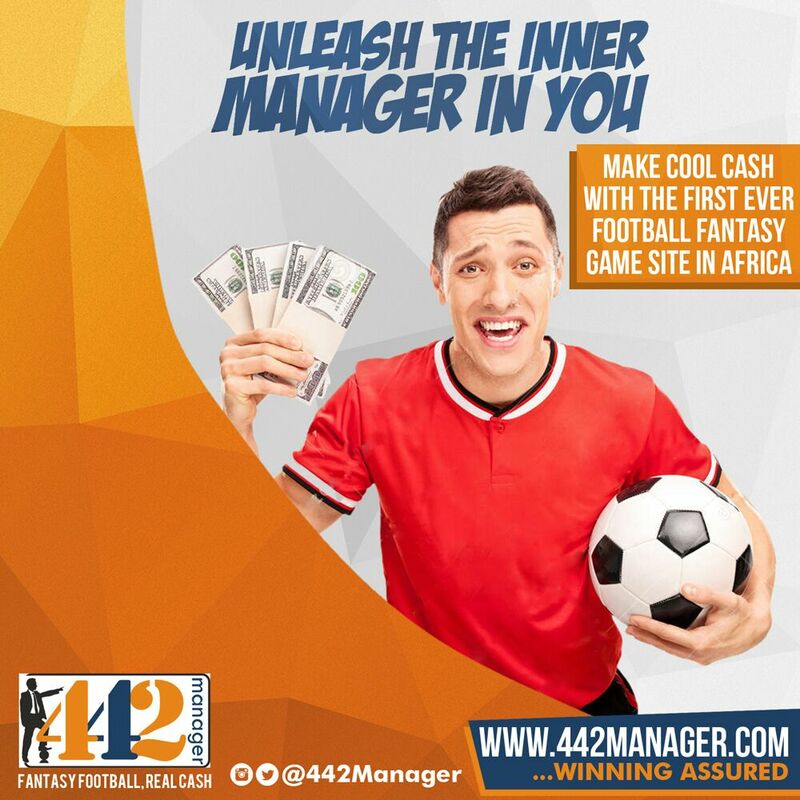 Players can access their 442manager dashboard via the website or mobile app, making it possible for players to easily track their team’s progress in real-time. Teams available include England’s Premier League, Major League Soccer, Italy Serie A, Spain La Liga, France Ligue 1, Brazil Serie A, UEFA Champions League, UEFA Europa League and many others. 1. REGISTER OR LOGIN [ http://www.442manager.com ]. Just a few simple steps to create your own account. 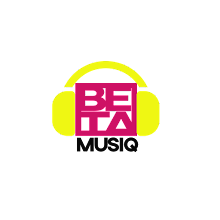 There is no charge to set up an account and there are no subscription fees. Filter your choices by entry fee, prize payout, duration (single day, matchday, etc.) or number of participants to play against. Choose 11 players, from three or more professional teams. The better the player, the higher the price tag. Choose wisely, you need to stay under the salary cap. If you're playing in a cash contest, you will need to have the funds in your account prior to submitting your entry. Stats are updated live on the site via Sports, so you can see how you are faring against your opponents in real-time. As your team plays they accrue points or lose points based on their performance. Positive play adds points but be careful of players who get too many fouls, get booked, or whose side will concede too many goals. If you finish on top, your winnings will automatically be added to your credit balance. Details can be found at http://www.442manager.com/. 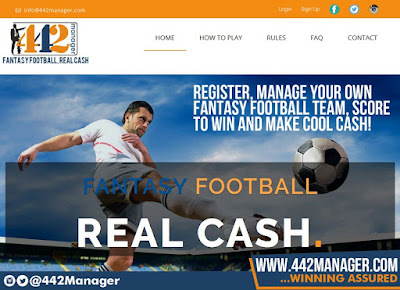 442manager makes it easy for players to build football and soccer teams, play and win prizes. 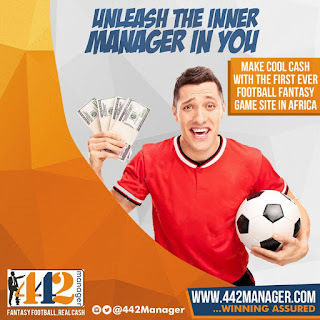 Test your player knowledge, manage your team, create your own league and outsmart your friends or workmates to become a 442manager Champion.